Your business may one day face a difficult decision–what should I do with my data? There are pros and cons of storing and managing your own data. And for some the thought of housing their data somewhere else is a little frightening. After spending a little time online I discovered one of the big questions businesses have when faced with this decision is how safe will their data be if they store it offsite? This is without doubt a justifiable question. I can easily put myself in the shoes of the business owner and see their concerns like, what happens in the case of a fire? What security measures are in place? And what happens if power to the data center is interrupted for whatever reason? A lot of these questions can be answered by looking at a data center’s tier. The Telecommunications Industry Association and Uptime Institute have developed two of the most widely used data center classification models. The models are used to rate or grade data centers. The Telecommunications Industry Association calls its model TIA-942 and it’s based on the Uptime Institute’s tier classification system. Both systems have four tiers. 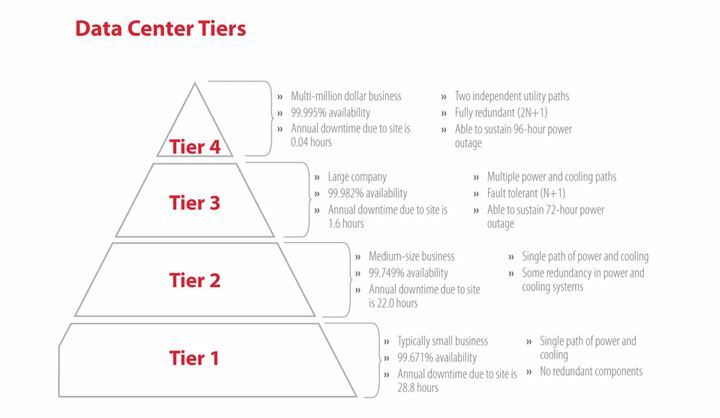 The higher the tier, the less downtime a data center will experience each year. Tier 1 data centers are the least reliable and Tier 4 data centers are the most. A Tier 1 data center could be something as simple as a storage closet with a rack of computer equipment. There would only be one power and cooling system in place. A Tier 4 data center is made up of multiple active power and cooling distribution paths, it has several backups (also known as redundant components) and can withstand all types of disasters both natural and man-made. Tiers 2 and 3 fall in the middle. One of the more noticeable differences between the two models is Uptime uses Roman numerals (I, II, III, and IV). The Uptime Institute also certifies data centers in three areas–design documents, constructed facility and operational sustainability. 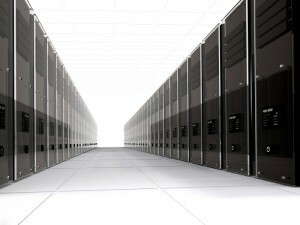 Data centers have to pay to be certified by the Uptime Institute. TDS Hosted & Managed Services, LLC (TDS HMS), which consists of OneNeck IT Services Corp., Vital Support Systems, and VISI Inc., has seven data centers in four states. Here’s a breakdown of their tiers. Also, I’ve included a graph below that gives the basics of each tier. Did this help you understand how data centers are classified? Leave your comments below and don’t forget to subscribe to this blog. If you have any questions, concerns or ideas for posts you can email me or contact me on twitter @BarclayPollak.